A mortgage is, of course, a considerable financial obligation. You are likely to be borrowing substantial amounts of money, and you should, therefore, be prepared to do some shopping around in order to find the best deal. There are two main types of mortgage currently on the market. The first of these is the most popular, and has fewer risks associated with it - the repayment mortgage. Under this arrangement, every payment you make to your lender will go directly towards paying off the capital debt you have incurred; that is, your debt will grow smaller with every payment. On top of this, part of your repayments will pay back small parts of the interest owed, and you will, therefore, be guaranteed to have paid off your entire mortgage by the end of its term. The other main type of mortgage available is known as 'interest only'. Under this arrangement, each month you pay your lender only the interest you have accrued. Rather than paying off the debt gradually, at the end of the term it will be entirely your responsibility to find the full sum still owing on the mortgage. 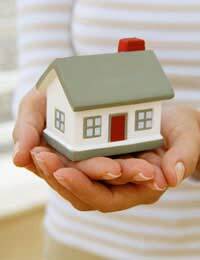 A popular option on an interest only mortgage is to make monthly payments into an ISA or other savings account, in order to save the capital required at the end of the term. This is an attractive option for many people, as it means that you are not spending 'dead money'; rather, you are making your repayments work for themselves. However, the risk that you will not have enough to fund your final repayment is always present. Once you have chosen which mortgage scheme to subscribe to, you must also be aware of the different types of interest rate. The most widely-used is the standard variable rate. This agreement means that your lender will adjust the interest rate according to market conditions. This is the simplest arrangement to set up, but it does mean that you will not have any certainty as to the size of your future repayments. If you require more security with regard to your repayments, then it may be wise to investigate a fixed rate mortgage. Under this scheme your interest rate will be static, regardless of market conditions. This can be particularly good if you anticipate a rise in interest rates, but you should also bear in mind that, if interest rates fall, you will still be paying the same. A good compromise in this situation may be a capped rate mortgage. This means that your interest rate will be guaranteed not to rise over a certain level, but it can fall according to the base rate. This is a good option for those who are on a tight budget and need to know exactly how large their largest repayment could be, but who also want to take advantage of falling interest rates. You should bear in mind, however, that the capped rate may be comparatively high as a result of the reduced scope for making money on the part of the bank. Finally, you should also be aware of Early Repayment Charges, or ERCs. Also sometimes known as 'early redemption fees', these will apply if you choose to pay off your mortgage early. As a result, if you think that your income may rise drastically during the course of your mortgage, it may be wise to shop around in order to find the lender offering the lowest ERCs. Although they may seem confusing, you should bear in mind that the majority of adults in the UK have a mortgage. As long as you have a basic understanding of the financial commitment you are making, you should have no problems.